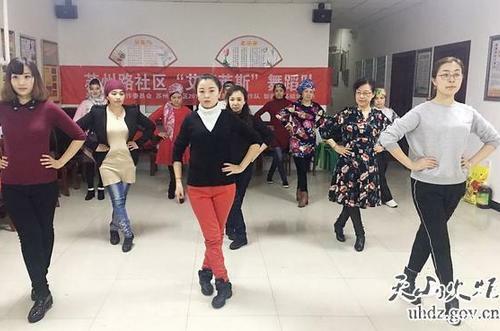 The human resources and social security bureau of Urumqi High-tech Industrial Development Zone has organized dance training sessions for local residents from different ethnic groups starting on April 2. The dancing team saw great increase in team members from five at the first session to 17 on April 14. The team attracted residents from different ethnic groups including Uygur, Kazak, Hui, and Han. Ba Yan, a member of the Xinjiang Uygur Autonomous Region Dancers Association, was invited to teach the local dance lovers. Dance lessons will be two hours long each time and be organized once a week for free. The dance training is designed to help residents living in the zone communicate with each other more and enrich their lives during their free time.